In the last years, the interest in Film Studies has grown within the disciplines of Hispanics. It can be argued that film and other media have contributed to the strength of Hispanics in times of cultural and economic globalization. This boom in the union between Film and Hispanic studies has occurred in parallel with the establishment and consolidation of cinema as an academic discipline. diasporas… Cinema, with its many forms of circulation, has favored intercultural communication in a world in which the coexistence of modernity and globalization has displaced and questioned traditional modes of representation. * Teaching film and hispanics. * The histories of Hispanic Studies. * Internet and new media. During the conference, there will be a tribute to some of the most relevant associations and research groups of Hispanic Studies, such as GRIMH and CRIMIC. 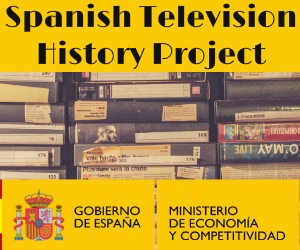 In addition, Filmoteca Española will program the film retrospective “Hispanismo y Cine”. It will be a collective proposal with the selection of some of the most representative titles of film and Hispanic studies. Each screening will be accompanied by a presentation and discussion. Proposal must be submitted through the website of the conference. The deadline for proposals is April 1st 2019.